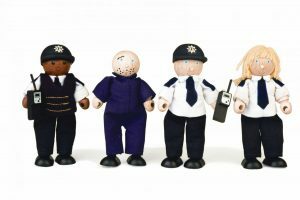 Traditional fishing game with a twist. 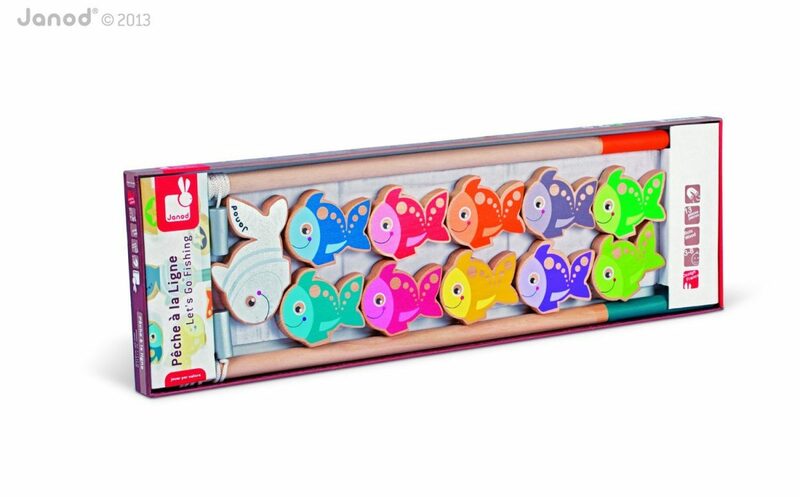 This colourful Magnetic Wooden Fishing game comes with two rods with magnets plus ten Fish and a shark. 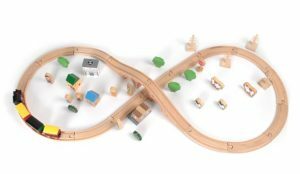 Great for hand-eye co-ordination and fine motor skills. Recommended Ages: 3 yrs . 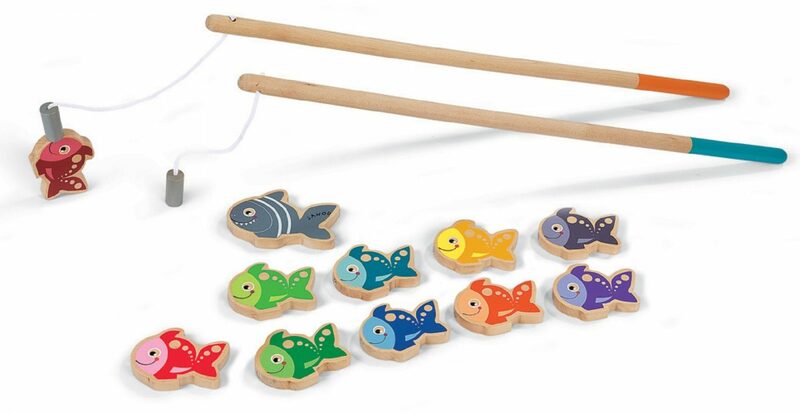 Angling attraction with this delightful magnetic fishing game by French toymaker Janod. 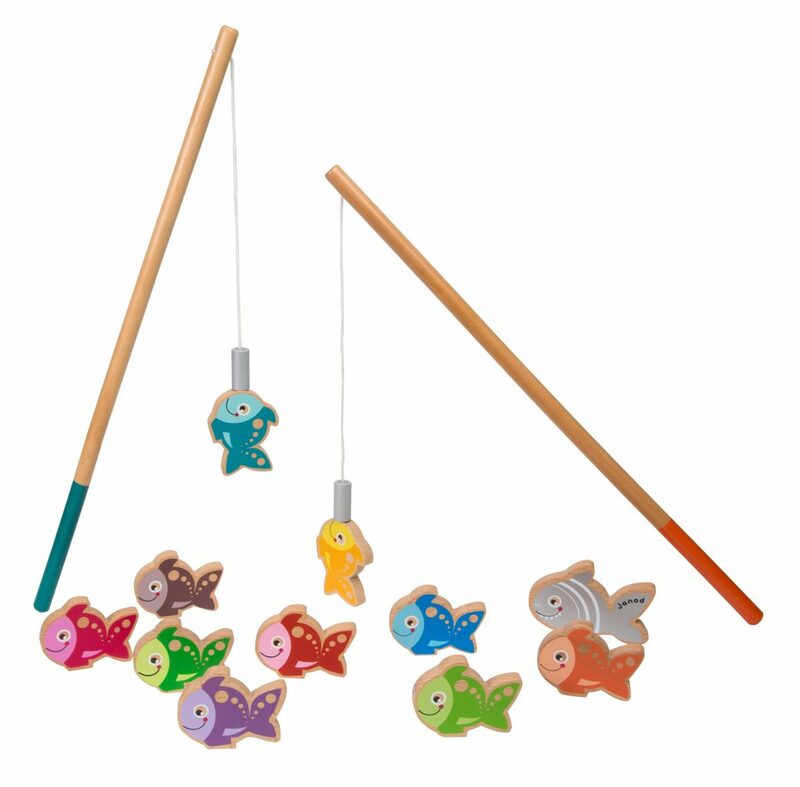 Children will love ‘catching’ the colourful wooden fish with the two magnetic fishing poles. There are ten colourful wooden fish to catch and one bad shark! 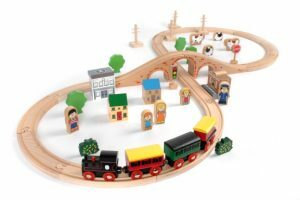 This well-known and much loved game is great for hand-eye co-ordination and fine motor skills. Recommended Ages: 3 yrs . Fish size: 7cm x 1cm x 5cm. Rod size: 47cm x 1.5cm x 1.5cm.